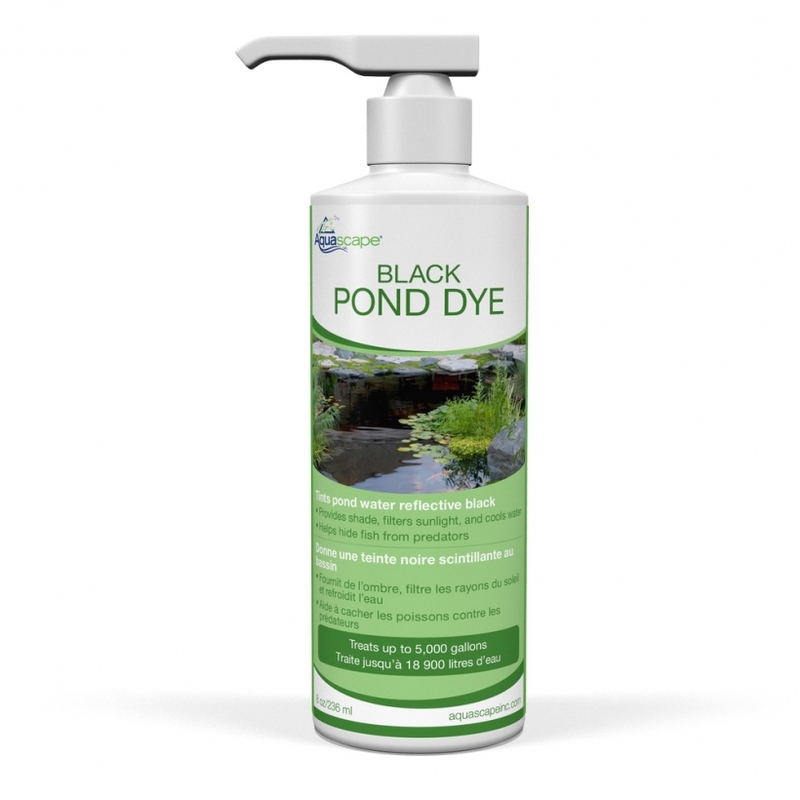 Black Pond Dye - Aquascape, Inc.
Aquascape Black Pond Dye safely tints pond water a natural tea color, helping to shade the pond and creating a shimmering effect across the water. Our Natural Pond Tint also contains humic acid and enzymes which help to balance the pond ecosystem, significantly reducing maintenance throughout the year. One dosage will last up to six weeks. 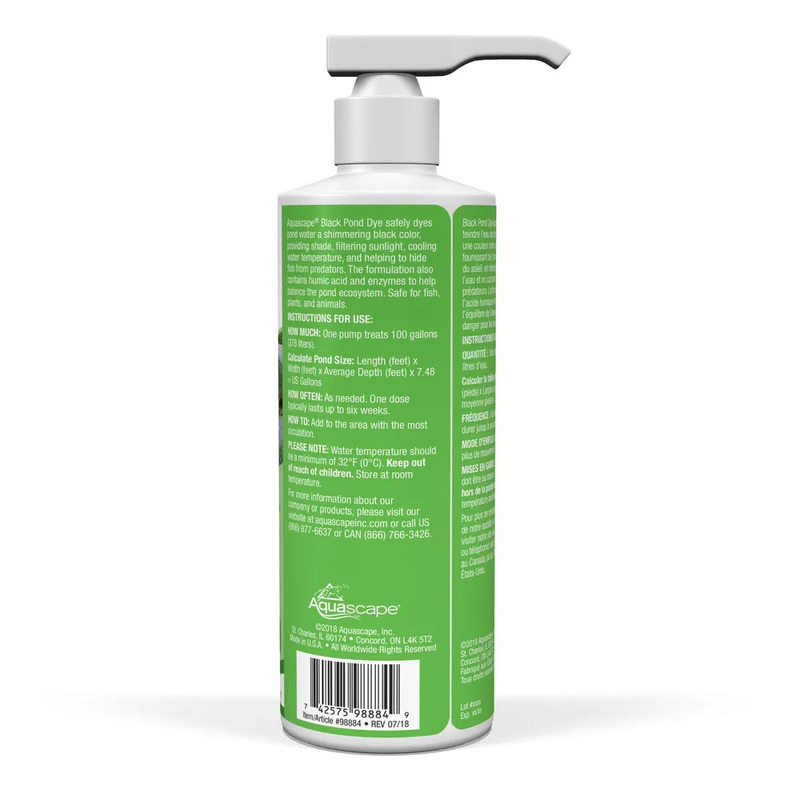 The easy-to-use pump top accurately measures 100 gallons of treatment per pump and the full bottle treats 5,000 gallons.